Pre-Fabricated, Outdoor Cat Shelters: Tree House Has Them! Due to the extreme polar cold and a mention we got from the CBS local news, we’ve had a lot of inquiries about our prefabricated, insulated, outdoor cat shelters. We do sell them! 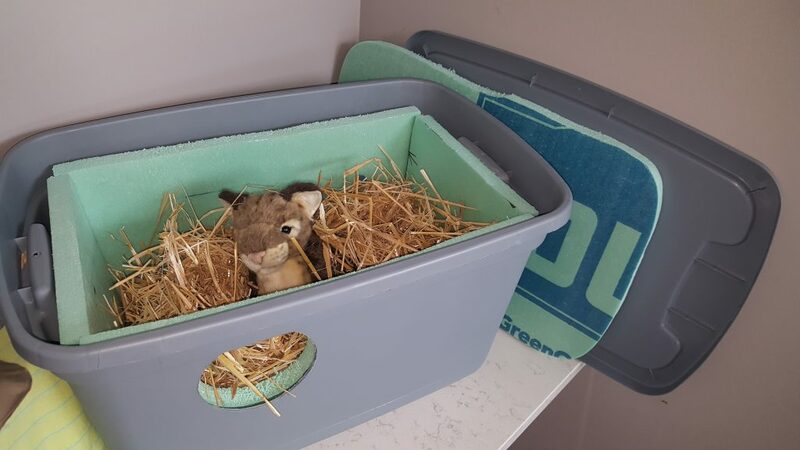 They are made in-house out of an insulated storage tote and come stuffed with straw to keep any furry inhabitants toasty and dry. We also sell heated water bowls ($25) to keep your colony’s water, well, liquid, and we have heating pads ($40) for inside the shelters in case you want to give your colony a little upgrade. Proceeds from the sales go back into helping Tree House save more cats. We do not presently ship the shelters, but you can come visit us at 7225 N. Western Ave in Chicago and ask for a shelter at the front desk. Someone will be happy to help you. If you have any questions, please call us at 773-262-4000 and speak with the Community Cats department for more info. If you are out of state and trying to get a shelter, please look up your local TNR group. I’m sure they’d be more than happy to assist you! You reading this means you are actively trying to make a cat’s life better, and for that, we thank you. 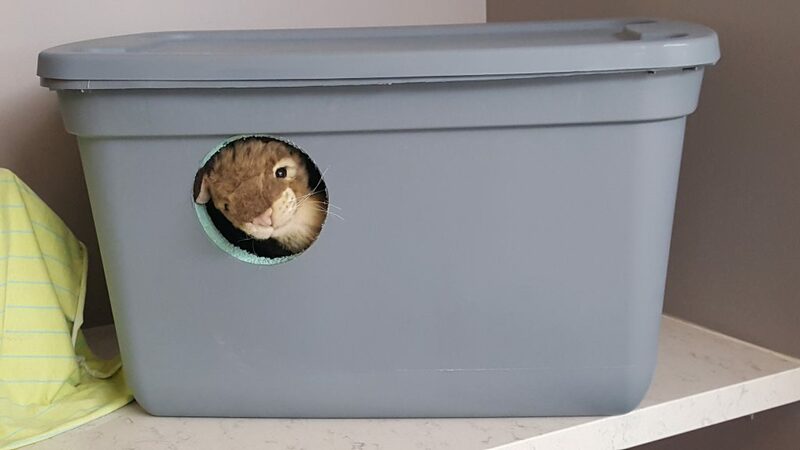 Purrs stays comfy inside with lots of straw!